Some of my old USMC tanker friends will probably enjoy this story. 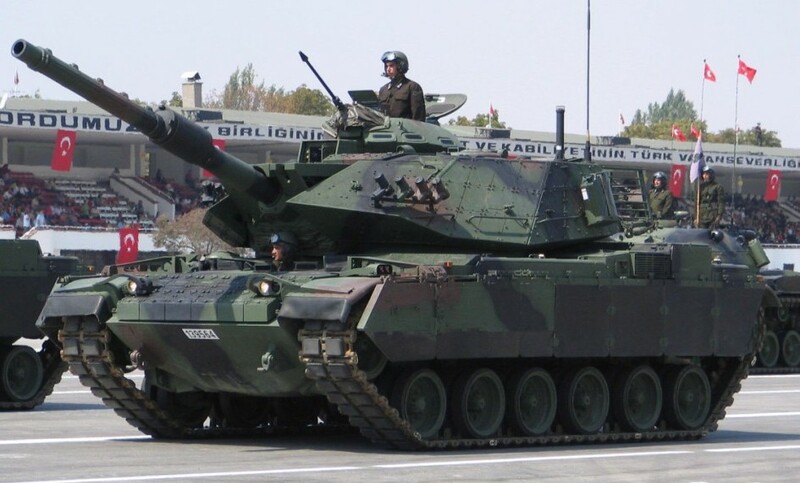 The Turkish military still operates some surplus American made M-60 tanks. They are upgraded to what is called the M-60T standard. The work was done by the…wait for it…Israelis! Who have lots of experience operating and upgrading surplus American tanks. The Turkish tank in question, was in Bashiqah, Iraq. About 15 miles outside of Mosul. Their mission…wait for…training Kurds! Confused yet? Good. I’ll get into this in a later article. Now back to the tank! The M-60T is a compete upgrade package. The 105mm main gun is switched out to a modern 120mm with complete fire control and electronics suite. In addition, the tank is stacked with reactive armor to defeat modern shaped charged ATGMs. Which is what happened here. Photo released by Turkish MOD showing damage. Tank survived. The missile fired was a fairly modern Russian ATGM (Anti-Tank-Guided-Missile) known as the Kornet E (9K129). Russian ATGM’s have a decent track record of killing modern tanks. Including Abrams (Iraq) and Merkava (Israel) models. 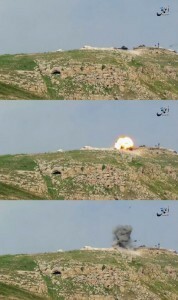 The fact a M-60 survived a direct hit by a Kornet is quite the feat of engineering. In popular media, it is common to obsess on the latest and greatest tanks and theorize about a head-to-head matchup at some huge Kursk or Fulda Gap like battlefield. But in 90% of the world’s conflicts, tanks provide critical support and protection for small-unit infantry operations. Which is why it is not unheard of to see WWII era tanks still creeping around some third-world hot spots. If a tank is cheap enough, it will live forever. Or until someone actually kills it. Turks report this M-60T will live to fight another day.